First up, on Saturday, December 16, is FACES PLACES, from the legendary filmmaker Agnés Varda. This documentary, an official selection of the Cannes and New York Film Festivals, takes audiences on a road trip with Varda and French photographer and muralist JR around the villages in France as they find portraits and the stories behind them. 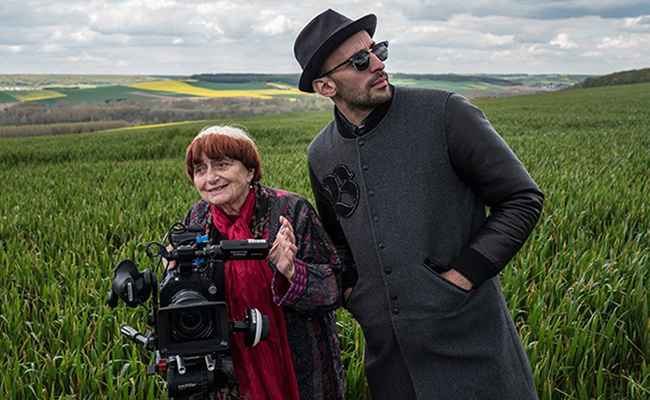 Ms. Varda recently received an honorary Oscar for her life’s work as a film director. Making regular appearances on film critics’ Top 10 lists of 2017, FACES PLACES is also on The Academy Awards® shortlist for Best Documentary Feature.